True, especially with undisciplined drivers. I’ve made it a goal to pull into a parking lot every time to do such things. It’s not the end of the world to take the few minutes to park the car and do that. That is sooo funny! Thankfully none of my students do that… I’m sharing! Even though this is a very funny comic strip, it also is sad. 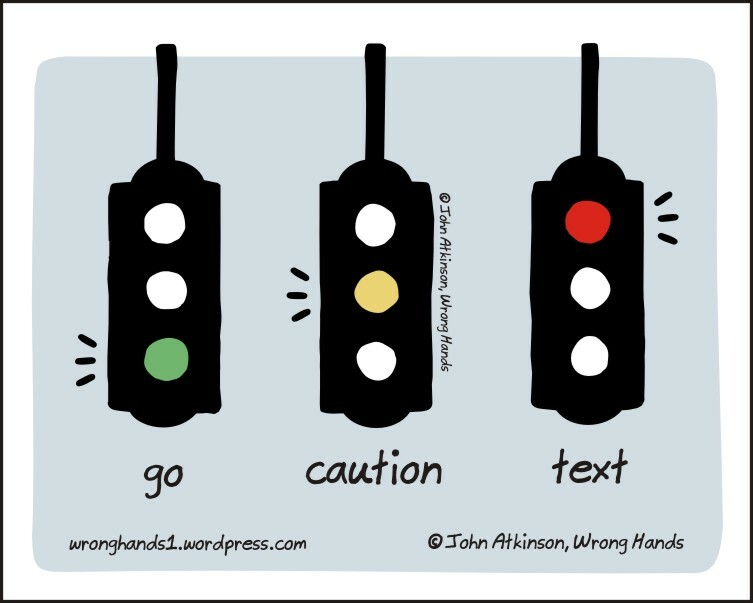 Are we in such a hurry that we have to use every possible moment for texting? But anyway, my intention wasn’t to take the fun out of it, I had to laugh out loud seeing this comic. Great work!